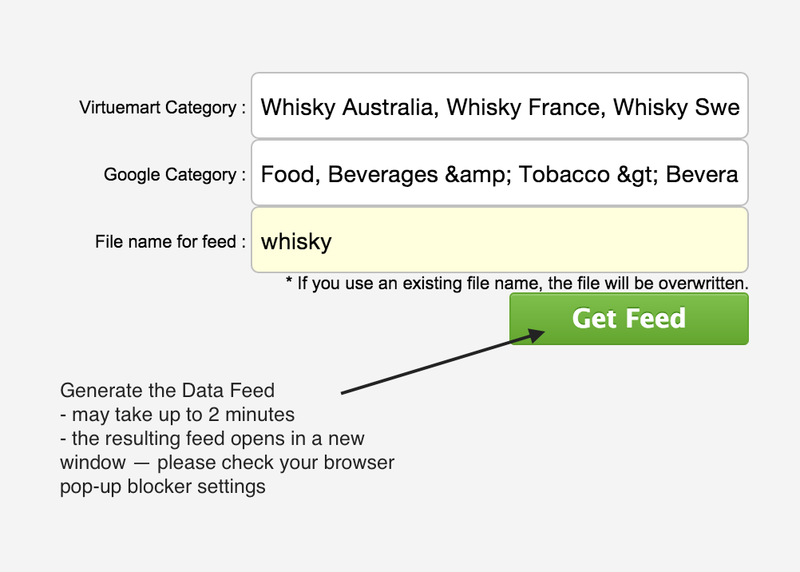 Follow the simple steps below to configure the Cart Product Feed component and generate your first data feed. If you’ve purchased a license key from our exportfeed.com website, enter it’s entirety (including the “Single-” or “5DayTrial-” text) into the field and click Save. * Please note depending on the Merchant selected, you may be required to choose a category or template first. Mapping your local (WooCommerce, WP e-commerce, VirteMart) attributes or setting static values for required merchant fields is the most important step in creating successful data feeds. The plugin automatically detects and maps most of your local attributes (title, description & images for example), but in some cases manual mapping is required (size, gender, colour). Continue on to step 5 and generate a feed. Return to this step if you are missing any attributes or values. To meet Merchant requirements, you will first create local attributes (if you haven’t already) and then map them to Merchant ones. 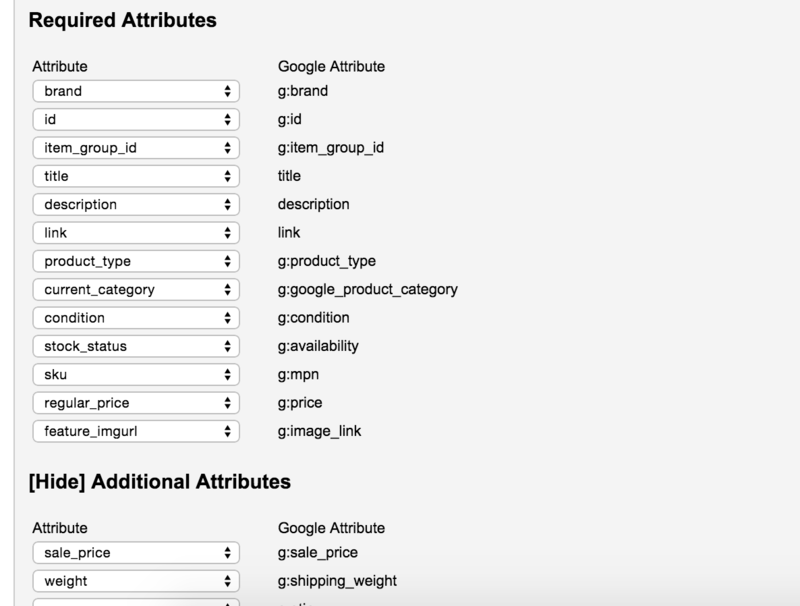 Each Merchant has their own strict set of required attributes – they are shown in the plugin’s attribute table (below screenshot). You can also see required attributes here. VirtueMart Attributes are created via Custom Fields. You can also map attributes using the Advanced Command box. 5. Select the VirtueMart Category/Categories you wish to export. Click the field beside “VirtueMart Category” to select from a list of VirtueMart categories (1.). A small box will appear with a list of categories to export (2.). Please note that the parent category automatically includes all it’s child categories. If you do not see anything, please see FAQ – No Categories . Select your VM Categories to export. 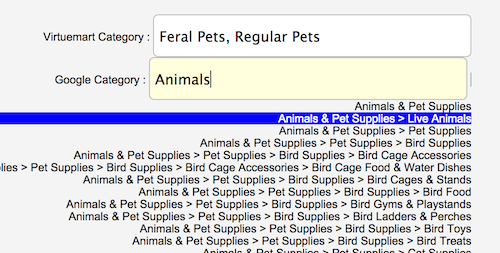 Categories are created from Components > VirtueMart > Product Categories and must be attached to each product. 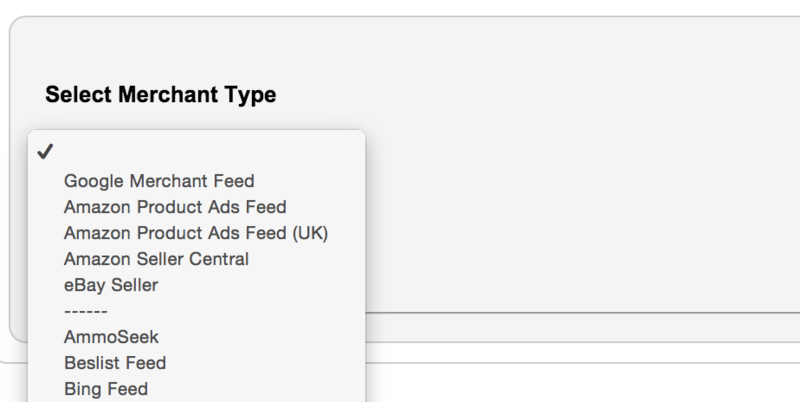 Generate the data feed by clicking “Get Feed”. A new window will contain your products in XML/CSV format. Ensure that your browser allows pop-ups from your website.